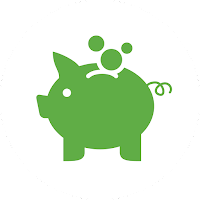 Economic stability and supports refers to the level of economic resources and the degree of equity in the distribution of resources among individuals and communities. These supports may include laws and policies, childcare and school options, adequate employment and living wages and access to housing, transportation and education. 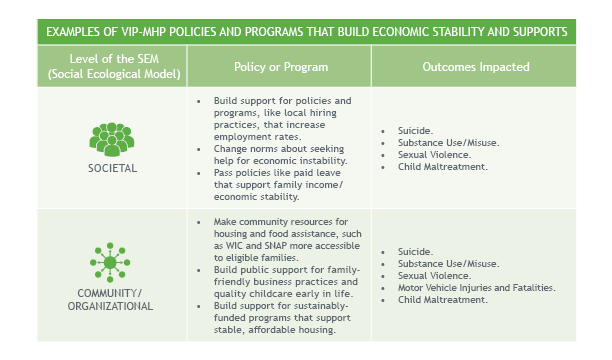 The Violence and Injury Prevention ‒ Mental Health Promotion (VIP-MHP) Branch prioritizes economic stability and supports along with social norms, connectedness and behavioral health, to build community resilience and prevent multiple forms of violence and injury. Weak health, educational, economic and social policies/laws. Diminished economic opportunities/high unemployment rates. 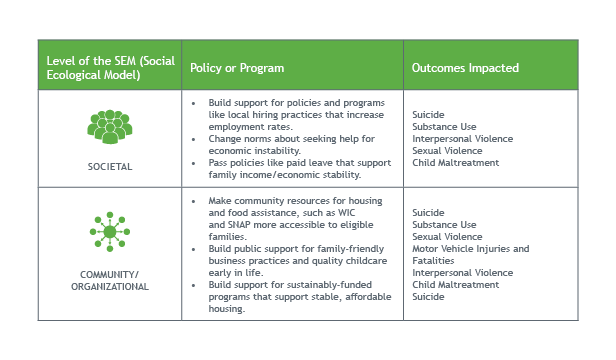 By working toward economic stability and supports as a shared priority, the following programs leverage resources to address upstream risk and protective factors, and prevent multiple forms of violence and injury at once. While the VIP-MHP Branch primarily works at the societal and community/organizational levels, the branch also collaborates with partners working at the individual and interpersonal levels of the model.